There’s nothing quite like a good, tragic teenage romance to pull at the heartstrings. 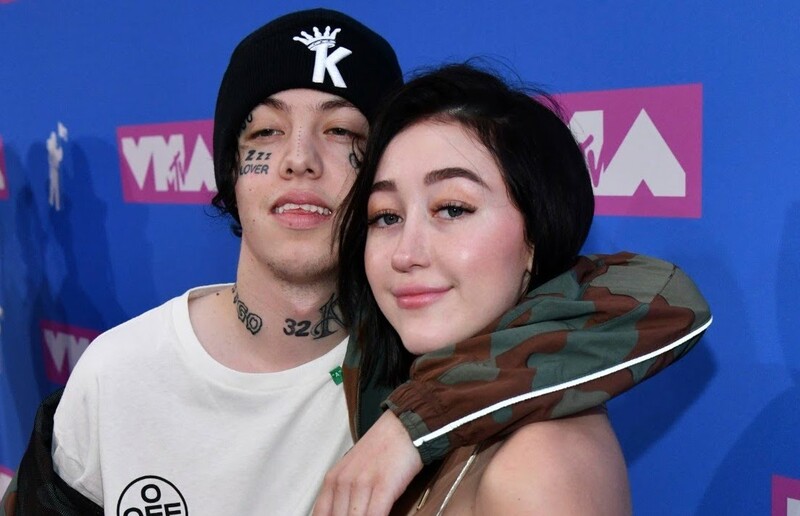 And among the leagues of Romeo and Juliet and Buffy and Angel is a new couple: Noah Cyrus and Lil Xan. Cyrus carries the last name of famous older sister, Miley, and like her sister has created an acting and music career. Lil Xan, born Diego Leanos, is a prominent SoundCloud rapper, and has been described by The New Yorker as part of a “sad rap” movement. The two (supposedly) met when Xan slid into Cyrus’ DMs, and after that, it seemed the rest was history. They released a song together, complete with a couple-y music video of the two. They went to the VMAs together, and their endless PDA sparked meme after meme. Trouble in paradise hit them soon, as they both started posting videos and photos of themselves crying on their own Instagram accounts just a few weeks later. Xan threw the first shots: he posted a video where he said he feels like he is “probably being cheated on,” and then she rebutted by sharing a screenshot of a text conversation between the pair that made him feel that way. The text conversation showed that Cyrus had sent Xan a photo of singer Charlie Puth’s head photoshopped onto a adult film star’s body. “This is the meme i sent Diego that made him think im cheating on him,” she wrote. Cyrus then took to Instagram live, where she tearfully told fans that she was sorry things were so confusing and that she never cheated on Xan. It seemed to be a sad end to a short-lived romance. But, for whatever reason, they both continued making things more complicated than they actually were. Xan soon accused Cyrus of only entering into the relationship because Columbia Records wanted her to, which she has vehemently denied. Then, she accused him of cheating, saying that she has seen him with hickeys she didn’t give him. “Cheaters like to accuse their partners of cheating to make themselves feel less guilt,” she said. Obviously, Xan denied the allegations, and they continue to play a game of he-said-she-said. Recently, Xan told the media that the breakup was his fault, and that even though the relationship was “toxic,” they could’ve still been together, but there was “50-50% lying.” She then commented that after the ending of a two-year relationship, she let Xan in too fast and it blew up in her face. Despite the tragic ending, both parties seem to be doing … okay. Cyrus released a new song called “Mad at You” and is selling a vial of her tears for $12,000. Xan, after the death of Mac Miller, announced his retirement from music. He also recently went to the hospital after eating too many Hot Cheetos, so maybe he’s not doing so well after all. The world of celebrity relationships is complicated and strange, and we oftentimes see full-grown adults acting just as childish as these two. However, I don’t really think youth is much of an excuse. Lil Xan is almost exactly one year older than me, and as I write this article, I don’t see how publicly blaming and shaming someone you’re supposed to love is okay at any age.